I must admit: when I saw the Rochester Gay Men's Chorus juxtapose my beloved Sergei Rachmaninoff with a modern songwriter, my heart skipped a beat. But read on, oh classical aficionados, because this is a concert from Bach to Manilow, from Rachmaninoff to Presley. The concert will feature a 22-piece orchestra and mezzo-soprano Lynne McMurtry taking on everything from Brahms to Gaga. The Rochester Gay Men's Chorus includes more than 40 voices, and was founded in 1982. Its current artistic director is Dr. Robert Strauss. 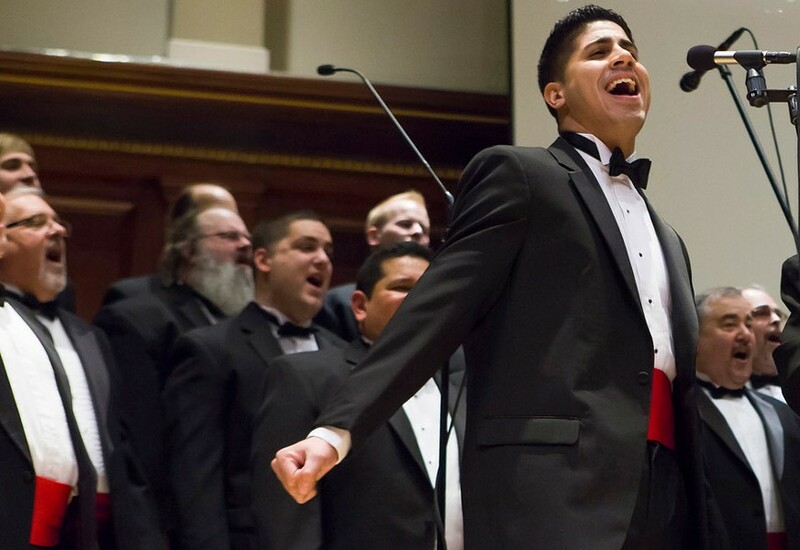 Rochester Gay Men's Chorus presents "Makeover" on Saturday, March 29, 8 p.m. at Hochstein Performance Hall, 50 N. Plymouth Ave. $6-$17. 423-0650, theRGMC.org.